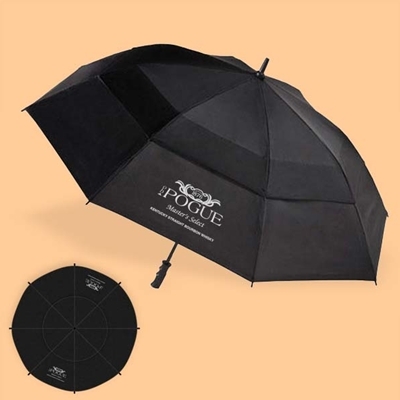 Let Old Pogue keep you covered in bad weather with this totes® Stormbeater™ Golf Stick Umbrella. • Windproof, 60" arc vented, canopy... resists inversion. • Fiberglass shaft and super strength steel rib construction offer superior durability. • Push button automatic open. • Comfort grip black rubber handle. • Black with white Old Pogue imprint opposites sides.